You’re charged with much more than “benefits management.” You deliver programs that enable both your organization and your employees to successfully navigate the healthcare experience. Not easy, right? 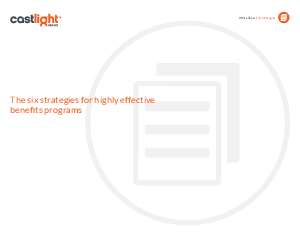 This short guide explores the six highly effective strategies we’ve identified to help benefits leaders lower costs, improve outcomes and increase benefit satisfaction.